Hi….I wanted to make sure to tell you upfront that I have received no product or compensation to promote this game. I do so because I LOVE to BINGO and I LOVE Games! Thanks for visiting. Check out what I found at the Brat Stop when I stopped to pick up some Brats yesterday for dinner. 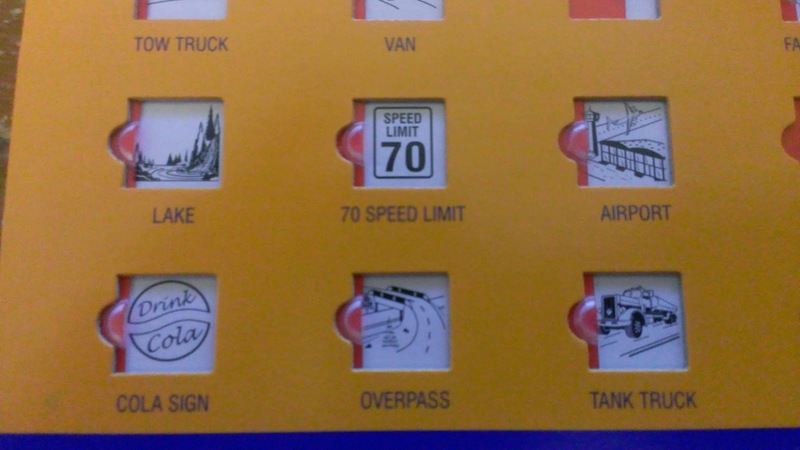 Interstate Highway BINGO! You guys know I am a BINGO nut! Dawn and I are regular visitors to Potawatomi Bingo in Milwaukee. So when I seen these BINGO cards for the kids and I to play BINGO while traveling ~ I could not resist buying three cards. The BINGO cards are made by Regal Games I was surprised to learn they are located in St. Charles, IL which is not that far from me. I really like the fact that the game is made in AMERICA! 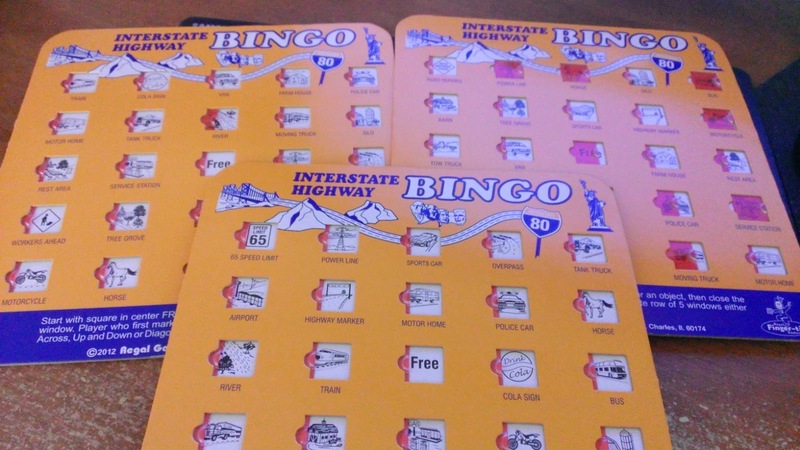 I purchased Interstate BINGO since we take the Interstate when we go to our RV at Elkhart Lake and for our trip on June 17th to Circus World Museum in Baraboo, WI and Great Wolf Lodge in Wisconsin Dells! old, 10 year old and 13 year old can all play is not easy! BINGO is for all ages...if you don't think that is true..head to a local BINGO hall and see the people. I swear a few players are over 100 and Davey at 5 loves to play BINGO! Are you wondering where you can get a set of these cards for your family? Our trip to Circus World & Great Wolf Resort I am planning to play bingo for prizes on the way there. I am not sure what the prizes should be for winning BINGO????? Do you have any ideas what would be a good BINGO prize? What do you think about money? I know they will want money for stuff at Circus World. I remember my first time at Bingo (after childhood of course). I didn't know all of the rules and screamed bingo as soon as I got 5 in a row. Was so totally ashamed. Now it's funny though lol. I love Bingo and actually just wrote a post about it! 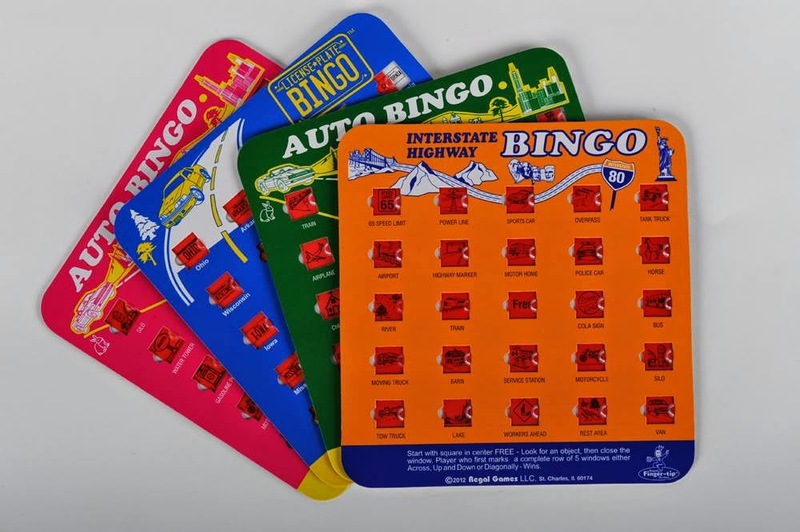 I remember these traveling Bingo games -- so much fun! This is perfect for summer time travels! !